Wondering how to best get your wife remembering the magic of your wedding day, when you made your vows to love and cherish each other forever, without necessarily spending so much on a renewal ceremony? Then do what my husband did. He had my wedding bouquet re-created. 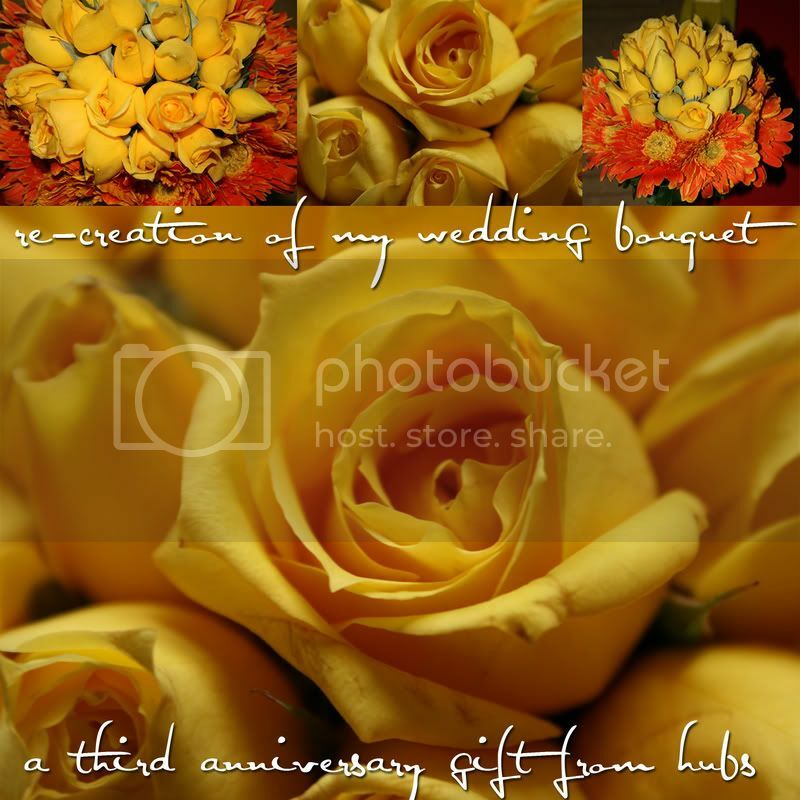 It need not be an exact copy even, so feel free to utilize the services of any Dangwa florist. And yes, you can just go to any florist (especially if the flowers in her bouquet are commonly used) but you can also opt to pre-order (maybe from your wedding florist too!) for easy pick-up or delivery. 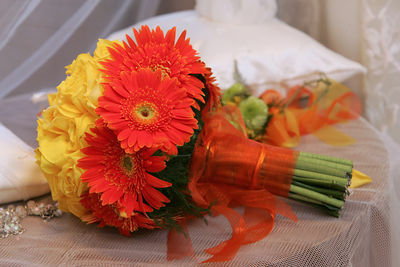 It can also be just a miniature version of the original bouquet (less expensive but just as sweet).